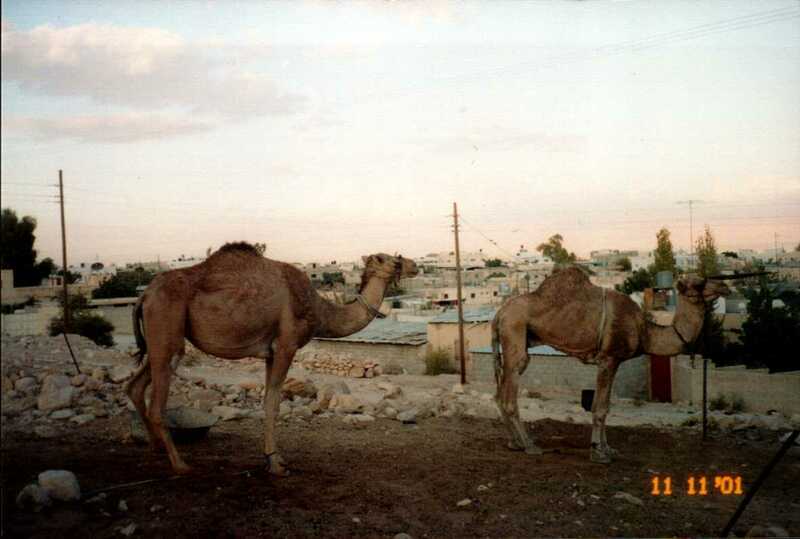 I wrote some time ago about the Bedouins. 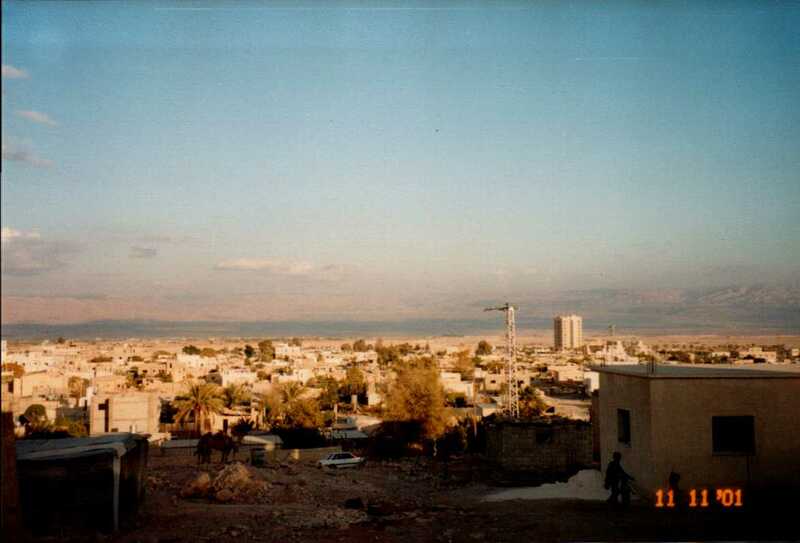 They are a nomadic group of people who live in the Israeli /Palestinian area. They are neither Israeli nor Palestinian. However, most of them are cultural Muslims because that is what has been in the area for a long, long time. We had a couple of Bedouin ladies who came to the Jesus House for the Bible Study. While we were at the Jesus House a lady came to our house asking for food. We told her when money came in for food we would see she got some. All we knew was, her name was Miriam, she was Bedouin and she lived in the refugee camp. Now the camp was huge with a lot of people who had built permanent homes in the camp. When we had the money for food we tried to find her. The camp was almost a city of its own and most people knew where people lived. So we asked for Miriam the Bedouin and all we were told was there were a lot of people named Miriam who were Bedouins. Then one day she came to the Jesus House again. I told her we had been looking for her and had food for her. We got in the car with Miriam and the food and she took us to her home. She lived in a tent up on a hill in the camp. You had to pass a group of camels to get to her place. And even though we drove we sill had quite a hike to her tent. She had two children and didn’t know where her husband was. She assumed he had another wife somewhere. I know many people who have wanted to see the inside of a Bedouin tent. During the day the sides are rolled up. 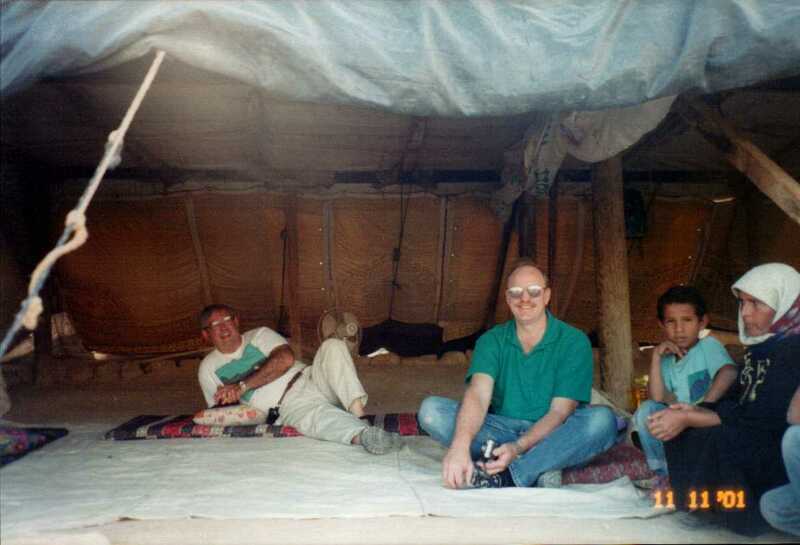 It was quite an experience sitting inside a bedouin tent knowing they had lived like this for hundreds of years. Miriam invited us inside and put a kettle on for tea. They cook on a wood fire outside of the tent. She said tea always tasted better when cooked over a wood fire. I think she was right. if you look closely you can see our car in the bottom of the picture. That is how far we had to walk to get to Miriam’s. Now that we knew where she lived we visited her every so often. She didn’t come to the Lord that we know of but seeds were planted. She is a sweet heart of a woman and I came to love and appreciate her friendship. I love reading all your adventures, Jan! Very interesting.